Dr. Andrew Goldenberg is the founder and President of ESI, established in 1982. Under his leadership thecompany has achieved significant growth and a global leading role in a wide range of industrial sectors. From 2000-2001and he was also the President of Virtek Engineering Science Inc. (VESI), a high-technology company formed after the acquisition of part of ESI by Virtek Vision International Ltd., a publicly-listed company. He is also President of Anviv Mechatronics Inc. (AMI), which he founded in 2006. He is the founder of the field of Robotics at the University of Toronto where he has been since 1982 as a Professor of Mechanical and Industrial Engineering, cross appointed in the Department of Electrical and Computer Engineering and the Institute of Biomaterials and Biomedical Engineering. He obtained his Ph.D. in 1976 from the University of Toronto, and also an Adjunct Professor at Ryerson University and Guest Professor at Nanjing University of Science and Technology, P. R. China. From 1975-1981. He has been an employee of SPAR Aerospace Ltd., of Toronto, working on the development of the first Space Shuttle Remote Manipulator System (Canadarm). Dr. Goldenberg has supervised the largest number of graduate students in the Faculty of Applied Science and Engineering (46 Ph.D. and 64 M.A.Sc.). He has published extensively, and at last count he had 52 patents granted and applied, 253 peer-reviewed publications with over 2700 citations of his papers. The citations count is the highest in the department of Mechanical Engineering, and one of the highest in the Faculty of Applied Science and Engineering. He is currently involved in technology development projects that include: Mobile, modular, and medical surgery robots, robots for hazardous environments, smart materials, and expert systems. He is a Life Fellow of the Institute of Electrical and Electronics Engineers (IEEE), a Fellow of the American Society of Mechanical Engineers (ASME), a Fellow of the Engineering Institute of Canada (EIC), a Fellow of the Canadian Academy of Engineering (CAE), a Fellow of The American Association for the Advancement of Science (AAAS), a Member of the Professional Engineers of Ontario (PEng), and a Designated Consulting Engineer in Ontario (CEng). He is the recipient of the 2010 PEO Engineering Medal for Entrepreneurship. He is also the recipient (2013) of the Sir John Kennedy Medal, the highest honor awarded by the EIC for outstanding contributions to the profession of Engineering. 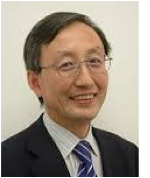 He is a former editor of the archival international journal IEEE Transactions on Robotics and Automation, and a member of the editorial boards of Robotica, Robotics in Japan, Journal of Robotics, Robotics Journal, Scientific World Journal, Industrial Engineering and Management Journal and SOJ Robotics and Automation. 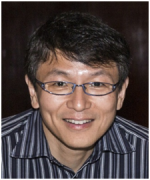 Professor Kai Cheng holds the chair professorship in Manufacturing Systems at Brunel University. His current research interests focus on precision and micro manufacturing, design of high precision machine tools, and sustainable manufacturing and systems. He has published over 160 papers in learned international journals and referred conferences, authored/edited 6 books and contributed 6 book chapters. He is a fellow of the IET and IMechE. He is the head of the Advanced Manufacturing and Enterprise Engineering (AMEE) Department at Brunel University, which consists of 10 academics and over 50 research assistants/fellows and PhD students. The department is currently working on a number of research projects funded by the EPSRC, EU 7th Framework Programs, Technology Strategy Board (TSB) High Value Manufacturing Program, KTP Programs and the industry. The department is involved in 2008 RAE (research assessment exercise) Generation Engineering unit submission and ranked the 5th in the country. 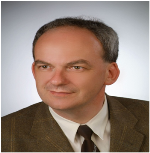 He is the European editor of the International Journal of Advanced manufacturing Technology and a member of the editorial board of International Journal of Machine Tools and Manufacture. He is also honored with the ‘1000man’ professorship at Harbin Institute of Technology. Valentina E. Balas is currently Full Professor in the Department of Automatics and Applied Software at the Faculty of Engineering, University of Arad in Aurel Vlaicu” Arad (Romania). She holds a Ph.D. in Applied Electronics and Telecommunications from Polytechnic University of Timisoara. She is author of more than 160 research papers in refereed journals and International Conferences. Her research interests are in Intelligent Systems, Fuzzy Control, Soft Computing, Smart Sensors, Information Fusion, Modeling and Simulation.She is the Editor-in-Chief to International Journal of Advanced Intelligence Paradigms(IJAIP), a member in Editorial Board member of several national and international journals and is evaluator expert for national and international projects. She participated in many international conferences as General Chair, Organizer, Session Chair and member in International Program Committee. She was a mentor for many student teams in Microsoft (Imagine Cup), Google and IEEE competitions in the last years. She is a member of EUSFLAT, ACM and a Senior Member IEEE, member in TC – Fuzzy Systems (IEEE CIS), member in TC - Emergent Technologies (IEEE CIS), member in TC – Soft Computing (IEEE SMCS) and also a member in IFAC - TC 3.2 Computational Intelligence in Control. She is Vice-president (Awards) of IFSA International Fuzzy Systems Association Council and Join Secretary of Joint Secretary of the Governing Council of Forum for Interdisciplinary Mathematics (FIM), - A Multidisciplinary Academic Body, India. · IEC TC62/SC62A & ISO TC184/SC2 JWG9 Medical electrical equipment and systems using robotic technology (i.e. medical robots). He is actively working with many stakeholder organisations in Europe, China, South Korea, Japan and USA on linking international robot R&D with robot standardisation. He is Fellow of the Institution of Engineering and Technology (FIET) and Fellow of the Chartered Institution of Building Services Engineers (FCIBSE), a Fellow of the Institute of Mathematics and its Applications (FIMA) and a member of Institute of Electrical and Electronics Engineers (IEEE); he is a Chartered Engineer and a Chartered Mathematician. He has been awarded the Freedom of the City of London for his work in promoting Information Technology. 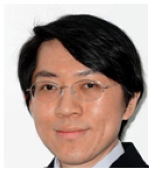 Dr Wei Min Huang is currently an Associate Professor at the School of Mechanical and Aerospace Engineering, Nanyang Technological University, Singapore. Dr W.M. Huang was awarded his PhD from Cambridge University, UK in 1998. He has 20 years of experience on shape memory materials (alloy, polymer, composite and hybrid). He has published over 100 papers in journals,and has been invited to review manuscripts from over 100 international journals, project proposals from American Chemical Society, Hong Kong Research Grants Council, etc,and book proposals from CRC. He has published two books (Thin film shape memory alloys – fundamentalsand device applications, Polyurethane shape memory polymers) and is currently on the editorial board of over a dozen of international journals. Matjaz Gams is Head of department of intelligent systems at the Jozef Stefan Institute and professor of computer science at the University of Ljubljana and MPS, Slovenia. He is or was teaching at 10 Faculties in Slovenia and Germany. His professional interest includes intelligent systems, artificial intelligence, cognitive science, intelligent agents, business intelligence and information society. He is member of numerous international program committees of scientific meetings, national and European strategic boards and institutions, editorial boards of 11 journals and is managing director of the Informatica journal. He was co-founder of various societies in Slovenia, e.g. the Engineering Academy where he currently coordinates the research class, AI Society, Cognitive Society, ACM Slovenia, SLAIS. He cooperated/headed around a hundred national and international projects including top EU projects. His team was awarded: the best innovation in Slovenia in 2009, in 2011 the best project between business and academia. In 2013 the team won the first place in the EvAAL competition, and in 2014 was chosen for 10 most promising teams to win the 10 million $ Tricorder competition. His COBISS list includes over 100 original scientific publications and over 1000 items in all categories including 7 patent applications. Pak-Kin Wong received the Ph.D. degree in Mechanical Engineering from The Hong Kong Polytechnic University, Hong Kong, in 1997.He is currently a Professor in the Department of Electromechanical Engineering and Associate Dean (Academic Affairs), Faculty of Science and Technology, University of Macau. His research interests include automotive engineering, fluid transmission and control, engineering applications of artificial intelligence, mechanical vibration, and manufacturing technology for biomedical applications. He has published over 156 scientific papers in refereed journals, book chapters, and conference proceedings. Jyh-Horng Chou received the B.S. and M.S. degrees in engineering science from National Cheng-Kung University, Tainan, Taiwan, in 1981 and 1983, respectively, and the Ph.D. degree in mechatronic engineering from National Sun Yat-Sen University, Kaohsiung, Taiwan, in 1988. He is currently the Chair Professor in the Department of Electrical Engineering, National Kaohsiung University of Applied Sciences, Kaohsiung, as well as the Distinguished Professor in the Institute of System Information and Control, National Kaohsiung First University of Science and Technology, Kaohsiung. He has coauthored three books, and published more than 255 refereed journal papers and 244 conference papers. He also holds five patents. His research and teaching interests include intelligent systems and control, computational intelligence and methods, automation technology, optimization, and quality engineering. He received the 2011 Distinguished Research Award from the National Science Council of Taiwan, and received the Research Award and the Excellent Research Award from the National Science Council of Taiwan 14 times. He also received the 2007 Distinguished Electrical Engineering Professor Award from the Chinese Institute of Electrical Engineering of Taiwan, received the 2007 Excellent Educator Award from the Ministry of Education of Taiwan, received the 2010 Distinguished Engineering Professor Award from the Chinese Society of Mechanical Engineers (CSME) of Taiwan, received the 2011 Distinguished Automatic Control Engineering Award from the Chinese Automatic Control Society (CACS) of Taiwan, and received the 2013 Distinguished Engineering Professor Award from the Chinese Institute Engineers of Taiwan. 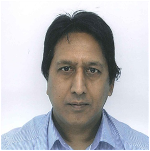 He is currently the Editorial Member or Associate Editor of 27 international journals. He has also served as the program committee member of many international conferences. He is a Fellow of CACS, IET and CSME. Konstantin Samson Ivanov was born on April, 19th, 1935 in the city Vladikavkaz of the Russian Federation. In 1953 I had finished school and entered in the North-Ossetian Agricultural Institute in Vladikavkaz. In 1958 I had ended institute. I have obtained a specialty of the mechanical engineer. From 1958 to 1964 I worked as the engineer of a technical department of the Almaty Car-repair Factory №2. Since 1964 I worked in Department “Theoretical Mechanics and Theory of Mechanisms and Machines” of Kazakh National Technical University in posts of the assistant, the senior teacher, the senior lecturer, the professor. From 1991 to 2002 I supervised by the Chair «Robotics systems and complexes». From 2011 to 2014 I supervised by the Chair «Engineering Graphics and Applied Mechanics». I am supervisor over postgraduate study on a specialty «Theory of mechanisms and machines», I had released 19 Candidates of Tech. Sci. I am member of National Engineering Academy of Kazakhstan. I am member of ASME. Adel M. Alimi is a professorof Electrical and Computer Engineering at National Engineering School Tunisia and obtained Habilitation a Diriger la Recherche (HDR) from the same University. He holds his PhD in Electrical Engineering from Ecole Polytechnique of Montreal, Canada. He was the founder and director of the REGIM-Lab on intelligent machines and he served as expert evaluator for the European agency for research since 2009. He managed funds for national scientific projects and 22 international scientific projects. He has been awarded with the IEEE Outstanding branch counselor award for the IEEE ENIS student branch in 2011, the Tunisian Presidency award for scientific research and technology in 2010 and several awards. 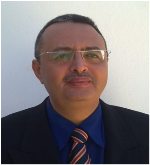 He is the founder and chair of many IEEE Chapters in Tunisia section, IEEE Sfax subsection chair etc. He served as associate editor and member of the editorial board of many international scientific journals like IEEE trans fuzzy systems, Neurocomputing, International Journal of image and graphics, International Journal of Robotics and Automation, International Journal of Systems Science, etc. He was guest editor of several special issues of international journals like Fuzzy Sets & Systems, Soft Computing, Journal of Decision Systems, Integrated Computer Aided Engineering, Systems Analysis Modeling and Simulations. He organized many international conferences: ICDAR’2015, SoCPaR’2014, ICALT’2014&2013, ICBR’2013, HIS’2013, IAS’2013, ISI’12, NGNS’11,LOGISTIQUA’11, ACIDCA-ICMI’05, SCS’04ACIDCA’2000. He has publications in various Journals globally. 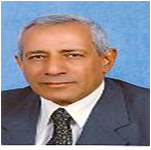 Dr. Adel Abdel-Rahman Megahed is a Professor Emeritus, since 2004 to present and Professor of Engineering Mechanics from 1986 to 2004 at Cairo University. He pursued Ph.D. in the field of Gas and Plasma Dynamics, from the Tbilisi State University in 1973. He has published various books in the field of Engineering like Analytical Mechanics, Notes on Magneto hydrodynamics, Statics, for Prep. Year Engineering students. 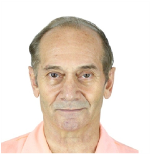 He attended several international conferences like Associate Prof of Applied Mathematics and Mechanics, at Technical Instiute, State of Kuwait, 1979 – 1984, Attending the Int. Conf. of Heat Transfer, and presenting a scientific paper, Miami, Florida, USA, 1988, Visiting Prof. at Tbilisi State University, Tbilisi, Republic of Georgia, on the occasion of 30 years of my Ph. D. graduation from this University, 2002, and Attending the International Conference of Engineering Mathematics, WCE, London, July 2010. Under his supervision as a principal supervisor he awarded various Ph.D. and M.Sc. Degrees. He has published more than 70 International Scientific Journals, and International Conferences and he worked as a Chief-Editor of the International Journal of Applied Mathematics and Physics. Mohammed Chadli received the Master degree (DEA) from the Engineering School INSA-Lyon in 1999, the PhD thesis from the 'Centre de Recherche en Automatique de Nancy' (CRAN), France in 2002 and his habilitation in 2011 at the University of Picardie Jules Verne (UPJV) in Amiens, France. From 1999 to 2004, he was an Assistant Prof CRAN-INPL (Institut National Polytechnique de Lorraine). Since 2004, he has been Associate Professor at the UPJV-MIS (Modélisation, Information & Systèmes laboratory) in France. He was a visiting professorship at the Technical University of Ostrava-Czech Rep. (2012), University of Agder-Norway (2013) and the University of Shanghai-China (2015). His research interests include fuzzy/LPV and switched systems, singular systems, robust control, fault detection and isolation (FDI), fault tolerant control (FTC) via LMI, SOS and Lyapunov methods. On the application side he is mainly interested in automotive control and renewable energy. He is author/co-author of 4 books (Wiley, Hermes), book chapters and numerous articles published in international journals and conferences. He is a senior member of IEEE and he is also serving as an Editorial Board member for various peer-reviewed journals including IET-CTA, Asian Journal of Control, etc., and was a Guest Editor for Special Issues in international journals (JFI, IET-CTA, ..). Piotr Kulczycki graduated with a Master’s degree in Electrical Engineering from the AGH University of Science and Technology, and a Master’s degree in Applied Mathematics from the Jagiellonian University in 1983 and 1987, respectively. He then received the scientific degrees of Ph.D. and D.Sc. (habilitation) from the AGH University of Science and Technology in 1991 and 1999, respectively, followed by the title of Professor in Technical Sciences at the Systems Research Institute of the Polish Academy of Sciences in 2007. He currently holds the professor positions at the Systems Research Institute of the Polish Academy of Sciences, where he is the head of the Centre of Information Technology for Data Analysis Methods, as well as the AGH University of Science and Technology, Faculty of Physics and Applied Computer Science, where he is the head of the Division for Information Technology and Biometrics. He has also held the position of visiting professor at the Aalborg University, as well as a professor position at the Cracow University of Technology, Faculty of Electrical and Computer Engineering, where he was the founder and head of the Department of Automatic Control and Information Technology. He has given guest lectures at the Technical University of Budapest, the Helsinki University of Technology, the Universite Catholique de Louvain, and the Tampere University of Technology. He has published 4 books and more than 200 scientific works in reputable journals, edited volumes, and international conference proceedings. He has also participated in 7 scientific research projects, 4 of which were conducted by international teams. The field of his scientific activity to date is the applicational aspects of information technology and data analysis and mining, mostly connected with the use of modern statistical methods and fuzzy logic in diverse issues of contemporary systems research and control engineering. His avocational interests are centred on ancient and Napoleonic history, as well as classical music, gardening, and international tourism. Rafael Socas has received several postgraduate degrees from Spanish universities. MSc in Telecommunications Engineering in 1998 at Las Palmas University. MBA specialization in Finance in 2007 at UNED University. MSc in Communication Technologies in 2008 at Polytechnic University of Madrid, and MSc in Control and Systems Engineering in 2013 at Complutense University of Madrid. He has attended several specialized courses about UAV’s, Robotics, Machine Learning, Mechanics Engineering, etc. at international universities (Stanford University, Georgia Institute of Technology) and at national Research Institutes in Spain (National Institute of Aerospace Technology, INTA.). He is currently a Researcher in Control Systems and Robotics at UNED University. A Professor of Telecommunications and Information Technology and a Business Consultant at Telefonica Inc. Also a Guest Professor at University of Las Palmas. He has produced several papers and a book chapter in these areas. He has developed several research projects at the Institute of Astrophysics of the Canary Islands (IAC). He is currently a project manager at the University of Las Palmas. Robotics, Aerial Vehicles, Control Systems, Event Based Control, Signal Processing and Communication Systems. 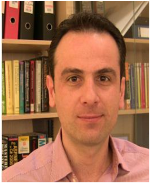 Constantinos Loukas received the BSc degree in physics from the University of Athens, Athens, Greece, in 1996. The MSc degree in medical physics from the University of Surrey, Surrey, UK in 1998, and the PhD degree in medical informatics from the University College London, London, UK in 2002. His PhDthesis focused on histological image analysis, and it was carried out in the GrayCancer Institute, UK, under a Cancer Research UK scholarship.From 2002 to 2004 was a Postdoctoral Researcher in the R&D center of GlaxoSmithKline, Cambridge, UK where he worked in close cooperation with the Motor Neuroscience Group of the Institute of Neurology, London, on brain signal analysis projects. From 2005 to 2006, he was a Research Scientist in a diagnostic imaging startup company, where he was engaged in developing innovative algorithms for spectral image analysis. From 2007 to 2009, was a Project Manager in various biomedical informatics companies. From 2010 to 2012 was a Lecturer, and since 2013, he has been Assist. Professor, in the Medical PhysicsLab (MPL), Medical School of the University of Athens, Athens, Greece. At the same time, he has been appointed R&D Coordinator of the Medical Simulation Center of MPL (MPLSC). He is a fellow of the IEEE (2007) and a member of the ACS-AEIs Technologies and Simulation Committee (2013). Biomedical image,Video Processing, Brain Signal Analysis, Simulation Training Systems in Medicine,Virtual and Augmented Reality Systems in Medicine, Telemedicine. Dr Leandro Cardoso Barchi is currently Digestive Surgeon , Managing Director of Gastromed - Institute Zilberstein. He has Masters degree in Digestive Surgery from University of Sao Paulo (USP) School of Medicine. Assistant Surgeon of Stomach, Duodenum and Small Intestine Unit - Digestive Surgery Division - Gastroenterology Department, University of Sao Paulo - School of Medicine. 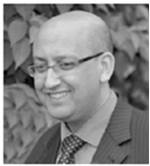 He has experience in Medicine, with emphasis on gastroenterology surgery, digestive oncologic surgery and minimally invasive surgery. He is also Full Member of Brazilian College of Surgeons (CBC), Full Member of the Brazilian College of Digestive Surgery (CBCD), Full Member of the Brazilian Society of Videosurgery (SOBRACIL), Full Member of the Brazilian Society of Metabolic and Bariatric Surgery (SBCBM). Member of International Federation for the Surgery of Obesity and Metabolic Disorders (IFSO) and member of the Brazilian Gastric Cnacer Association (ABCG). FOUNDER Member of the Latin American chapter of the International Gastric Cancer Association. 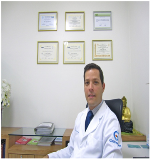 He has "Title Specialist in Eneral Surgery by the Brazilian College of Surgeons", and "Title specialist in Digestive Surgery" by the Brazilian College of Digestive Surgery, Area of Expertise Certificate in Video surgery from the Brazilian Society of Video surgery. Oncological Surgery of the Digestive Tract, Gastric Cancer, Minimal Invasive Surgery, Bariatric Surgery. Wei Wei, received the Ph.D. and M.S. degrees from Xi’an Jiaotong University in 2011 and 2005, respectively. Currently he is an assistant Professor at Xi’an University of Technology. His academic interests in the following areas: Wireless Networks and Wireless Sensor Networks Application, Mobile Computing, Wireless Network Security, Image Processing, Distributed Computing. Wireless Networks and Wireless Sensor Networks Application, Mobile Computing, Wireless Network Security, Image Processing, Distributed Computing. Prof. Dr. Md. Ataur Rahman, obtained the Bachelor of Science (Mechanical Engineering) from the Chittagong University of Engineering and Technology (CUET), Bangladesh in 1991. He started his career as an Assistant Engineer at the Bangladesh Machines Tools Factory, Gazipur, Dhaka, Bangladesh in 1992 and later he was appointed as an Engineer in 1994. He was appointed as a Maintenance Engineer at the STEADTLER Germany-Malaysia for 1996-1998. He has obtained the Master of Business Administration (Techno-Entrepreneurship) from the University Technology Malaysia (UTM) in 2000, Master of Engineering (Automotive) from UTM in 2001 and Degree of Doctor of Philosophy in Engineering (Automotive Engineering) from the University Putra Malaysia (UPM) in 2005. He was appointed as a Visiting Fellow for “Designing Automation System for Off-road Vehicle” at the Mechanical Engineering Laboratory, The University of Tokyo, Japan for 2005-2006. He was appointed as an Assistant Professor at the Department of Mechanical Engineering, International Islamic University Malaysia (IIUM) in 2006. Later he was promoted by IIUM for the post of Associate Professor in 2010 and Professor in 2014. He was appointed as Team Leader of the “IIUM Smart Mobility” by the Department of Mechanical Engineering of IIUM for Proton Green Mobility Challenge (PGMC) 2012 on “Designing Electric Vehicle” and competing with the top 10 Universities in Malaysia. His team got the Overall Championship Award and 1st position for the both of “Fastest and Farthest Distance Travelling”. He is the Chairmen of IIUM Centre for Excellent of Electric Mobility. Electro-Magnetic Actuated CVT System, Hybrid Engine, EV Battery Thermal Management System, Renewable Energy (Nano-Tech), Electro-Mechanical System, Nano-Battery Technology for EV/HEV, Electronic Power Train with RGB System for EV, Intelligent Cushion Vehicle for Swamp & Peat. Yuriy Vashpanovreceived the Master’s degree in experimental physics at the Mechnikov State University (Odessa, USSR) in 1978 and the diplomas of the Candidate (PhD)and Doctor of Science in experimental physics of semiconductors at the Mechnikov State University in 1983 and 1999 respectively. He was as a postdoctoral researcher of the Technical University in Dresden. Since 2007 till 2011, he worked as a BK21 professor at Electrical and Computer EngineeringDivision of Hanyang Institute of Technology of Hanyang University, Seoul, South Korea. 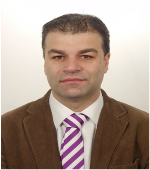 Since 2012, he has been working as a full professor at department of automation of technological process and robotics system of Odessa National Academia of food technology, Odessa, Ukraine.He published more than 150 papers, a monograph and a book about modern sensors of automatics systems. His research area is nanophysics and nanotechnology of semiconductors, electrical and computer engineering, intelligent sensors, automation and robotics. Experimental Physics, Semiconductors and Photophysics, Nanophysics, Nanomaterials and Nanotechnology, Chemical and Biological Sensors, Electrical and Computer Engineering, Spectral Images Technologies, Automation and Robotics. 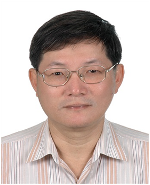 Daxiong Ji is an associate professor at Ocean College of Zhejiang University. He was granted by Ph.D from The University of CAS in 2008. He worked as a key researcher at ShenyangInstitute of Automation,CAS from 2008 to 2015. He moved to Zhejiang University in 2015. He is also the deputy leader of Marine Robotics at Zhejiang University. He published many important papers in academic journals. important papers in academic journals. My name is Ning Sun, currently an Associate Professor at the Institute of Robotics and Automatic Information Systems, Nankai University, China. I have also been selected to be supported by the Hundred Young Academic Leaders Program of Nankai University.My papers have been cited for about 1200 times in Google Scholar. Some famous scholars have cited my works in their papers, including Prof. Masayoshi Tomizuka, Prof. Kazuo Tanaka, Prof. R. Ortega, Prof. K.-S. Hong.I received the Outstanding Ph.D. Dissertation Award from the Chinese Association of Automation in 2016, and also several important academic awards in China.